The Garrett County Commission for Women (GCCW) is accepting applications for its 2019-2020 academic year scholarships. The organization is granting $500 scholarships for up to five recipients. “These scholarships help women to improve their lives which, in turn, benefits our community,” stated a spokesperson. The Commission for Women established the scholarship project to help women residents of Garrett County complete their educational requirements, leading to a degree or certificate beyond the high school level. The scholarship may be used to attend academic or career oriented programs at a community college, a four-year institution, a graduate school, or for technical training leading to a certificate. It is open to those pursuing any area of study. To be eligible, a woman must have been a resident of Garrett County for at least 5 years, at least 20 years of age and at least two years past her receipt of a high school diploma or GED. She may be already enrolled in a college or technical program or be applying for entrance into such a program. She must be able to demonstrate financial need. Previous applicants and recipients are welcome to apply, but scholarships will not be awarded to the same person two years in a row. Applications must be accompanied by an official transcript from the program she is currently attending and/or a letter of acceptance from the program she wishes to attend; a completed Commission for Women Scholarship Application Form; and a letter of reference from a faculty member who knows her work well or a letter of reference from a community member well versed in the applicant’s plans and prospects. Missing or incomplete data, particularly with regard to financial need, will disqualify the applicant. 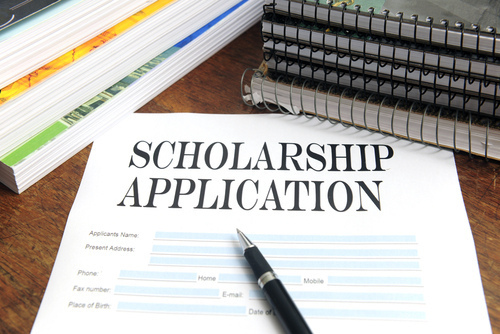 The scholarship form is available in paper format at the Garrett County Public Libraries or the Garrett College Financial Aid office, and on line at the Commission for Women website http://gccw.info/scholarships/. Completed application packets are due to the GCCW, c/o Garrett County Commissioners at 203 South Fourth Street, Room 207, Oakland, MD 21550 by 4:30 p.m. on March 29, 2019. Questions about the application process may be addressed to gccwinfo@gmail.com. All recipients will be invited to attend the Annual Hall of Fame breakfast on May 4, 2019, to be held at Dutch’s at Silver Tree. The Garrett County Commission for women was created in 1994 and is comprised of volunteers appointed by the County Commissioners who are mandated to be a voice for and of women in their communities, especially in government. Its mission is to promote a positive image of women, advise county government, advance solutions and serve as a countywide resource to promote social, political and economic equality for women. For more information, visit the website at http://gccw.info.